You don’t have to be anyone else other than yourself to Waldorf homeschool. 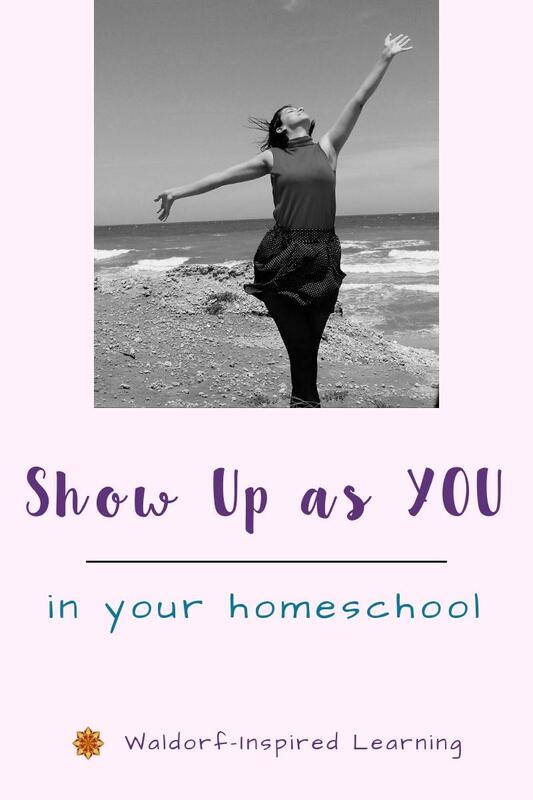 You can show up as YOU in your homeschool! The truth is, our children want to know us. Our children need us to be our authentic selves. Some even believe our children chose us to be their parents! Because they need what we have to offer. What habits might we need to change? Let’s first look at how children learn at different stages of their growth. Between the ages of 0-7, Steiner talked about children learning by imitating those around them. Particularly the adults in their world. So, we want our behavior to be worthy of imitation! We want our child to see us making things of value with our hands, to be taking care of each other and our belongings. Because young children develop best when they can see and feel the goodness in the world. We want to create an environment that allows them to experience childhood…to build imaginary worlds, dig in the mud and climb trees, hear magical tales and watch puppet shows, help make good food. Then when children are between the ages of 7-14, Steiner described them as learning through beauty. The beauty of color and enlivening stories. In fact, learning at this stage is best experienced through all of the lively arts. If you want to read more on this, check out my description of The Seven Lively Arts (Plus One) for lots of ideas on how you can bring these arts into your home. You can even sign up to get a copy of the Homeschooling with the Lively Arts Checklist for yourself. As teenagers, when children are around 14 years old, they begin to learn more like we do as adults. Through their thinking. This is when children are seeking truth. They enjoy reading about what others believe to be true. And grappling with what they believe. How Do We Parent Through These Stages? Where does this leave us as parents? Throughout this entire process of supporting our children’s learning, we can be ourselves. We can be funny, creative, slow or quick. This took me a long time to understand. 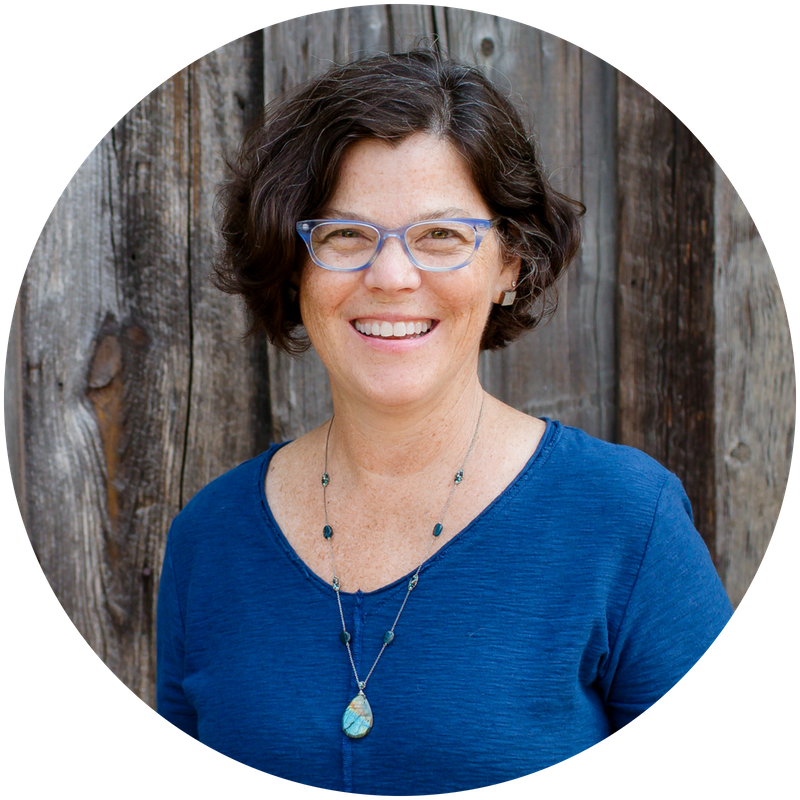 I really felt like I needed to change who I was when my children were little and we decided to Waldorf homeschool. I thought I needed to be quiet and soft spoken, when really I tend to be enthusiastic (sometimes loud!) and quick. I thought I needed to be a gifted storyteller. When truthfully, I love reading aloud to my children. I’ve been told over and over that I have a beautiful way of reading stories and poetry. Personally, I get such joy out of speaking other people’s words into the world. 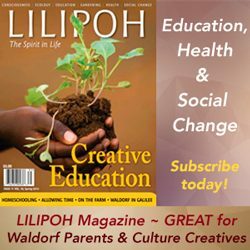 I even thought I needed to give up time for myself and devote myself fully to my children in order to be a good Waldorf homeschooling Mom. That was a mistake! Don’t forget that as adults, we are on a path of development as well! We need to nurture our own growth. Plus take care of ourselves. Do you need some help in that department? Check out this post: Self-Care is Not Selfish. Or this one: Tools for Self-Care for Homeschooling Moms. We might need to change a few habits. And we certainly want to understand the stages of child development so that we know what our children need at each stage. But our children really want to see us as we are. They want to know us. To love and be loved by us. With all of our quirkiness and foibles. Embrace who you are. Get to know yourself. Meditation can help so much in this area. I encourage you to find ways of getting quiet each day. If only for 10-15 minutes. After all, that’s really what inner work is. Finding ways of getting quiet so we can strengthen our inner forces. And get to know our own true nature. Show up as YOU in your homeschool.